Terish Dozzrine has accomplished a lot in his extended life. More than willing to settle into a future of continuing what he has gained fame doing, he sets to training his new mount, a centaur named Celatia. There are powers that however have their own plans for Terish, and will go to any length to dominate him. 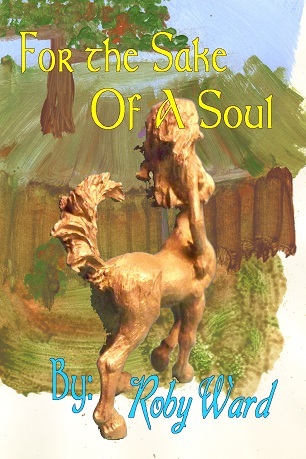 "For the Sake of a Soul" sends the Terish Dozzrine sage to a much higher level of story. Dealing with a malicious deity, he and his friends must face issues that they would have preferred avoiding. Being joined with a young princess and an uncertain satyr, the group must consider what they consider worth fighting for while wondering if they are even worthy of the challenge placed before them. The original beginning of this novel probably started somewhere in 1984 after I finished writing the first draft of "The Deadre War." This originally had a completely different opening. It then went into philosophical babble. I shut it down knowing that I needed a different direction. Taking my college courses for a teaching certificate in the early 90s, I established the story arc for Terish. It enabled a much more substantial rewrite of "The Deadre War," and it gave me a foundation for this novel. In the early 2000s I began my internet writing, and as I grew tired of Jackal and Rain I thought to bring Terish Dozzrine to an audience. "The Deadre War," was however not considered the right material. I sat down to do another rewrite of "For the Sake of a Soul," and found the notes to direct the story in a very entertaining manner. 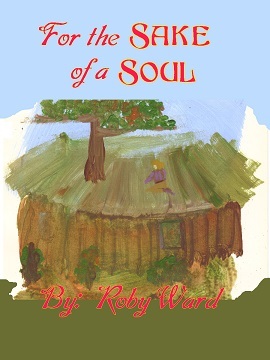 "For the Sake of a Soul" was started on the internet in 2002, and Terish Dozzrine and company were finally facing an audience. Once again, we have a cover. Thus, the book should be coming to Nook and Kindle. It has been held up for another edit. Saw more float still in it, so putting it through another edit. It will be coming however. It has now been released to Kindle and Nook. I believe the ending is a lot more dramatic with proper attention to the start of the Ferrigote/Dirchein relationship. There is so much happening that working with the modern single-fixed perspective was tough, but I finally figured it out. Very pleased with the manuscript. Price is less than $3. Remember the author's name is Roby Ward. Completely pleased with the look of the cover to "The Deadre War," I found myself extremely dissatisfied with the cover to this book. As I am editing it to be printed, I sat down to redo the cover. Really pleased with this image, and I expect to use it when I prepare the manuscript to be printed. Very pleased with these books. The cover looks fantastic. Since I am responsible for this one, "For the Sake of a Soul" is now my favorite cover. I had liked the first cover to "Loss of a Name," but ego and quality forces me to now cast my vote for this book.